This beautiful has Italian style built in and is handmade by craftsmen in eco friendly vegetable dyed leather at Boldrini, Italy. 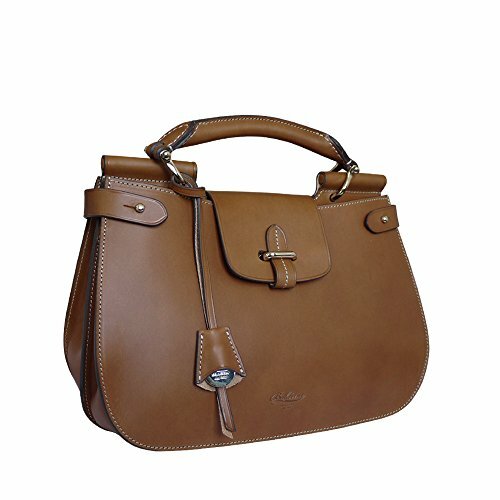 The Isla has a top leather handle with ring detail attached to central panel and opens via a leather flap with leather strip that threads through a metal bar. A decorative addition is a metal Boldrini stamped coin in a leather pouch that hangs from a leather strip. There are two distinct compartments that are lined in a contrast red cloth and has a side zip compartment and mobile phone pouch. For added flexibility there a long leather adjustable shoulder strap that enables it to be worn on the shoulder or across the body. Made in Tuscany with love. If you have any questions about this product by Boldrini, contact us by completing and submitting the form below. If you are looking for a specif part number, please include it with your message.